Despite ongoing educational efforts, the number of new cases of HIV and AIDS has remained stable or even risen in many areas of the world; here's why. 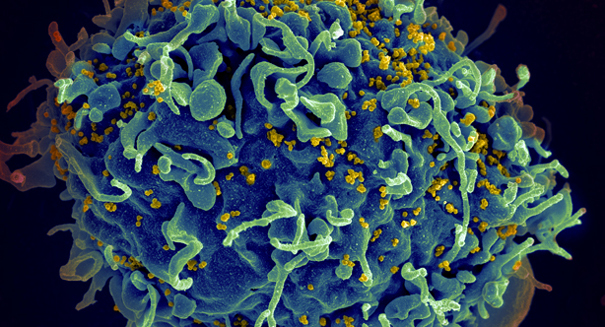 AIDS and the virus that causes it, HIV, were discovered fewer than 35 years ago. Despite our recent introduction to the disease, it has created widespread panic and led to billions of dollars worth of research in an effort to find viable treatments and hopefully even a cure. According to a report from the New York Times, however, international health agencies are still struggling to contain the spread of the disease around the world. Currently, the number of new cases of HIV/AIDS worldwide is still higher than the number of people infected with the virus who are beginning treatment. Given the current state of technology in the fight against the virus, scientists are growing increasingly discouraged with current outreach techniques to address the flow of the virus among populations. The problem isn’t endemic to developing countries only, however. The Centers for Disease Control and Prevention estimate that in the United States, there are currently hundreds of thousands of people who don’t know that they are infected, and continue to spread the disease without starting treatment. Despite these seemingly bleak numbers, there has been much progress since the disease began to gain notoriety in the 80’s. Scientists have made several breakthroughs in recent years, including the discovery of antiretroviral drugs that can keep the spread of the virus at bay. According to new guidelines from the World Health Organization, patients should seek treatment as soon as possible to minimize the risk of spreading the virus. Drug companies have developed multi-drug pill capsules that, when taken once daily, make it relatively simple to contain the spread of the virus. Firms are continually working on lowering the prices of these medications so that developing countries may also stem the spread of HIV and AIDS. The NYT reports that there may even be a pill available next year that would cost patients less than $100 annually. The United Nations has set forth a goal to eliminate the virus by 2030, but they have their work cut out for them In the United States alone, there are 1.2 million people infected with the virus, and roughly one in eight are unaware of their infection. Health organizations across the country are stepping up spending in an effort to control the spread of the disease, and research has progressed significantly in recent years. Despite the odds, many remain hopeful that the illness could be eradicated with continued research and development on new treatments. The guidelines published by the World Health Organization can be found here.